Share a cultural experience as unique as they are…Mt. Hood Loop / Multonmah Falls / Gorge Waterfalls (2014). Explore the Columbia River Gorge and stand above the second highest year-round waterfall in the United States! Come and enjoy spectacular views of many waterfalls along the Historic Columbia River Highway. Then we take you up close to Timberline Lodge on Mt Hood. We will also be touring many of the other wonderful sites along the Columbia Gorge including Crown Point’s Vista House, a unique visitor’s facility that was built in 1916. These viewpoints have two of the best views of the entire Columbia Gorge and you will agree that the sights are truly breathtaking. -Bring a camera! The views of Portland, Multnomah Falls, Mt Hood and Cascade Mountain are incredible. 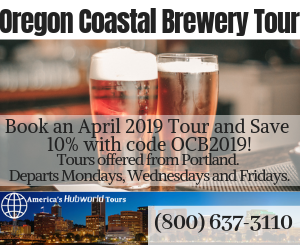 -Learn about Portland area’s history, landscape and culture from your professional tour guide. understanding of how this incredible landscape was shaped over time. -Enjoy views of gorgeous waterfalls at Columbia Gorge National Scenic Area. -Follow your professional tour guide on several short hikes to view stunning waterfalls, plants and wildlife. Enjoy a guide tour with an expert guide of Timberline Lodge near Mt Hood. We start along the Historic Columbia River Highway National Scenic Byway. Some of the waterfalls make include; Latourell Falls, Multnomah Falls, Bridal Veil Falls, Wahkeena Falls and Horse Tail Falls. 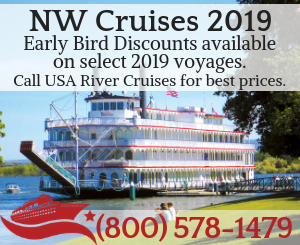 Best known of the scenic lookouts along the Historic Columbia River Highway, providing a panoramic view of the Columbia River. The Crown Point Vista House was built in 1916 and refurbished in 2005, with its beautiful marble interior and brass fixtures completely remodeled. Plunge 249 feet (76 m) over a massive wall of columnar basalt – some of the best formations in the Pacific Northwest – before cascading hastily towards the Columbia River. This waterfall is usually most recognized for the large patch of bright yellow lichen adorning the cliff face to the right of the falls, and this characteristic has led many famous photographers to give this location their treatment. And if you stand in just the right place, and look way up, behind the falls you see another falls! At Multnomah Falls, take a picture from any one of the many viewpoints or walk 5mins to the Benson Bride to view the falls from a unique perspective- above! For lunch you will have a selection of places to choose from in Hood River with views of Mt Hood and Mt Adams. You will have the opportunity to visit many of the boutique shops and wine tasting rooms in Hood River.There are two wine tasting rooms we highly recommend stopping by to visit: Naked Winery Tasting Room and Springdale Tasting Room. At 11,249 feet, the glacier-clad Mt. Hood is Oregon’s tallest peak and the 4th highest in the Cascade Range. Waterfalls, wildlife, wild flowers, trails, Timberline Lodge…the mountain is beloved for its beauty and recreational opportunities. Not Included in Price: Gratuity and lunch. You will have an opportunity to purchase lunch and/or snack.